The Google Mirror API should make developing an app for Glass seem familiar to those who have used RESTful Web services. A Google spokesman said, "We’re looking forward to what developers will do with Glass, but we don’t have more details to share at this time." And while all of the hacking and writing for Glass will no doubt be interesting, the real fun comes from getting a unit to use during the two-days. Join us for an early look at Glass and two full days of hacking on the upcoming Google Mirror API in San Francisco or New York. These hackathons are just for developers in the Explorer program and we’re calling them the Glass Foundry. 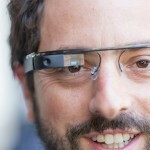 It’s the first opportunity for a group of developers to get together and develop for Glass. We’ll begin the first day with an introduction to Glass. You’l have a device to use while on-site. Next we’ll take a look at the Mirror API, which gives you the ability to exchange data and interact with the user over REST. We’ll then dive into development with Google engineers on site to help you at any point. At the end of the second day we’ll have a lively round of demos with some special guest judges. If you’d like to attend this first Glass Foundry, please choose and register by Friday, January 18th at 4pm PT. There is limited space. If you are accepted, you will receive a confirmation letter with additional details and required terms after registration closes. Please don’t make any travel arrangements until your attendance is confirmed. NO!!! Run for your life Wendy!! IT'S GONNA NUKE YOUR EYEBALLS!!!!!! On a more serious note, I cannot wait to see what they come up with. Apple fans trolling all the way. that's where I think smartphones are heading. Wearable devices. Wendy you don't know anything about technology do you?